MERCL - Galilee Travel, Inc.
MERCL, CIPAC's sister think tank, will take a special study mission to Israel October 11-21, which you, your families and friends are cordially invited to join. At a special price of only $3,498 (from New York or Los Angeles) for air, land, tips and taxes, this is the unique study and action mission of a lifetime. As always we seek to have specific strategic aims for our missions. This time I sense that it is vital we study the battles and the lessons learned from the Yom Kippur War. We will be there forty years after the Yom Kippur surprise attacks on Israel in the Sinai and on the Golan. Amazing Israeli counterattacks, despite many tragic deaths and injuries, led to a close-run victory, which saw Israeli forces charging down the main roads to Cairo and Damascus as the UN intervened to stop them. 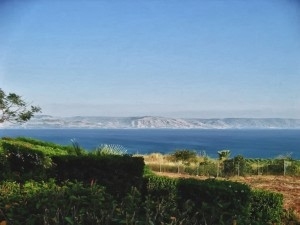 Starting from seaside Tel Aviv, center of Israel’s "Wall Street/Pentagon/Silicon Valley" urban complex, we proceed to Tiberias and Katzrin, the capitals of the Galilee and the Golan respectively. 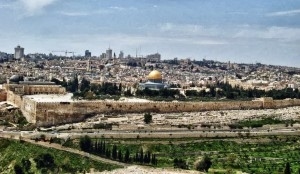 Then we will travel on to Israel's ancient and present day capital, Jerusalem, and its predecessor Hebron. From Jerusalem we also will visit the Dead Sea, Qumran, En Gedi and Masada. You will see such modern Israeli New Towns as Ariel and Maale Adumim in historic Judea and Samaria, as we pause for Israeli snacks along the way. Most important: it makes a big difference with whom you embark on a once in a lifetime journey like this. As Hebrew speakers steeped in the history and culture of the People and the Land, we have visited Israel often since I lived and worked there for seven years. Thus we can and will do our best to see that all your questions are answered and your personal quest is satisfied. I believe that now is the time for you to connect with Israel, and real Israelis - or to reconnect if you have been there before. If you agree, make a quality decision to do it. Then all the details will fall in place. To sign up for this special offer or to ask any travel questions, call Ofra Cohen, our Israeli tour organizer, at 800-757-9604 or email her at info@galileetravel.com. To confirm your reservations you'll have to send a $250 check to Galilee Travel, 6521 Wilmett Road, Bethesda, MD 20817-2342. For other matters, touch base with me at 202-425-4009 or rahmercl@starpower.net. I'm looking forward to greeting you at the airport or on our arrival in Israel. Let's make this the best Israel study and action mission ever!